I mean really, what do I love more than dip and olives. Not much really. Probably my kids. And ok, Brad. But olives and dip have a special place in my heart too. At any point someone could say, “Hey Michelle, wanna go out for some dip or olives?” and I’d be all over that. Sadly, no one has ever asked me out for dip and olives. But let it be known that I would be all in. So hello, let’s mix the two things up and get crazy! … Umm seriously, maybe I DO need to get out of the house and kitchen more often. Anyways, I make this all of the time to go with my veggies at lunch and whenever I post it on IG someone always asks for the recipe. 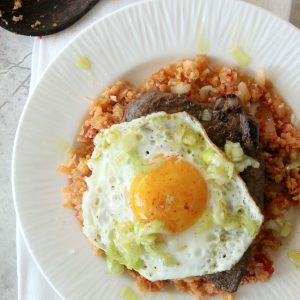 I always feel strange putting such easy recipes up on the blog but sending the link over is honestly the easiest way to get it to someone. As far as the mayo I use, as always I recommend making your own. Where do you find a recipe for the easiest mayo possible you ask? I have you covered for that too! Click on over to my Homemade Mayo recipe, it takes all of 2 minutes and tastes amazing. I can speak from experience in saying this aioli pairs perfectly with sweet potatoes or any type of potato for that matter. 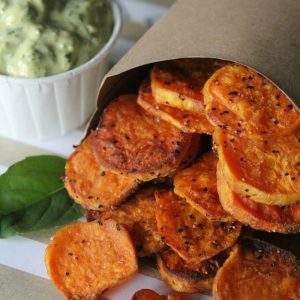 I’d suggest heading over to check our my Sweet Potato Chips + Dip recipe to find out the secret behind getting the most perfectly cooked roasted sweet potatoes. 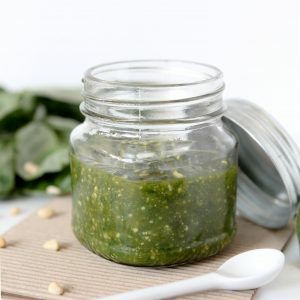 And feel free to swap the pesto dip out for this while you’re at it! 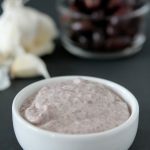 A super easy kalamata olive dip that is gluten and dairy free. 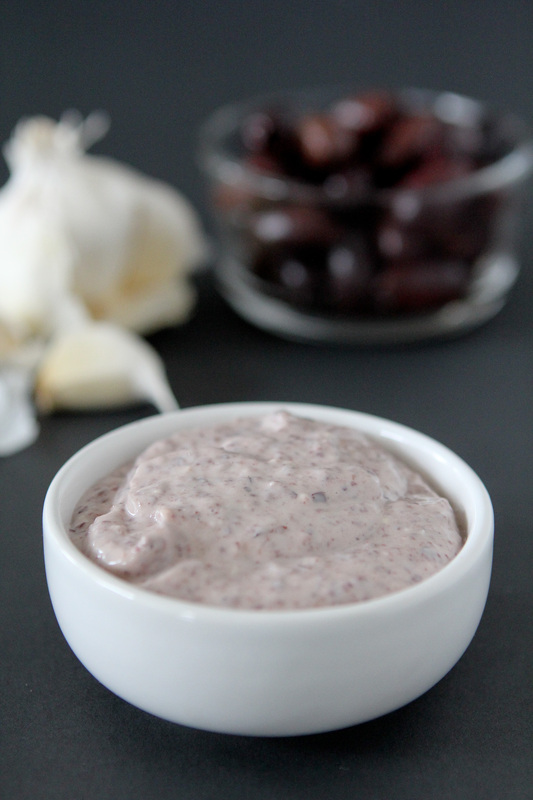 Pingback: Kalamata Olive Aioli / Dip from the Whole Smiths. Great t dip any begin in! Easy to make and paleo friendly, dairy and gluten free….